The Hague Declaration on Planetary Security was launched to support concrete steps to advance in the six action areas outlined in the Declaration. This website provides an overview of progress which has been made and presents actions and activities related to the Hague Declaration aiming to encourage further action on climate and security. A briefing note summarising key results can be downloaded here. Displaced people carrying their possessions to a camp for Internally Displaced People in Somalia. by João Lima/Flickr.com [CC BY-NC 2.0]; Jennifer Salahub/Twitter.com. The progress tracking of actions related to the Hague Declaration on this website wants to show 'what works', good practice and action that could be scaled up in terms of capacity, analysis or funding. This visualisation aims at encouraging more practical engagement on climate and security by illustrating successfully implemented actions. The actions presented here were not necessarily initiated because of the Hague Declaration but contribute to its objectives. Information on the projects and activities presented on this website has been collected through an online survey. Please see this section for more information on the survey results. Do you know of a project, approach or activity related to the Hague Declaration which is not yet presented on this website? Get in touch with us before 15 March 2019. 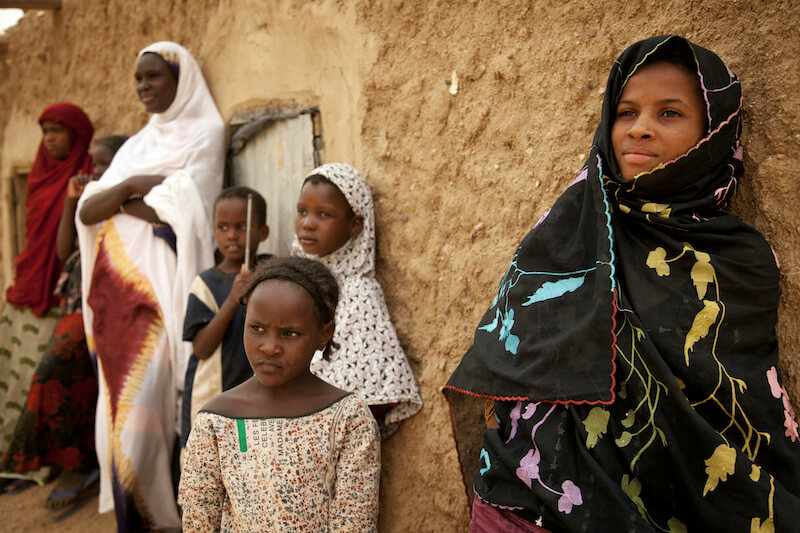 In Mali, climate change has severe impacts on natural resources such as water and land, threatening the livelihood of the mostly rural population. The resulting resource scarcity has already led to conflicts between herders, farmers and pastoralists and caused migration and displacement. This instability combined with threatened livelihoods provided fertile breeding ground for armed groups in the region. Integrated approaches are essential for addressing these interlinked conflict and climate challenges, such as for example the integration of equitable natural resource management into national security strategies and policies. The Hague Declaration calls upon all actors engaged in Mali to reassess their strategies based on what is known about climate-related security risks and to mainstream these issues into existing planning, implementation, and evaluation processes and indicators. This requires improved capacity for compound risk assessment, monitoring and integrated planning and requires donors and implementing organisations to test integrated approaches. 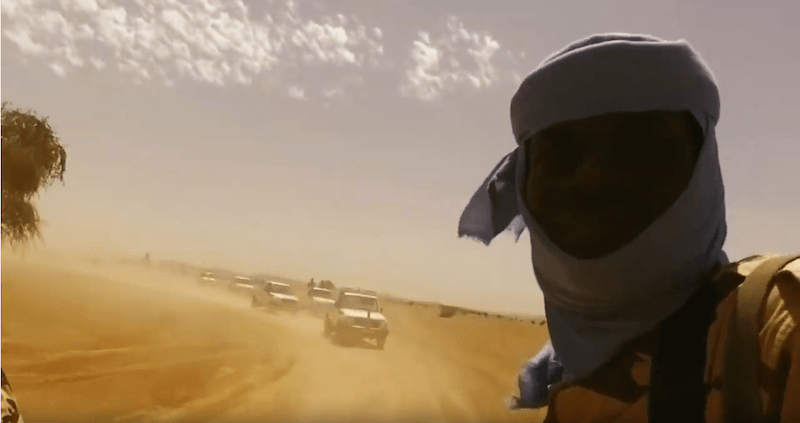 In this video Hague Declaration signatory adelphi introduces the climate and conflict dynamics in Mali and asks experts how to address the situation. 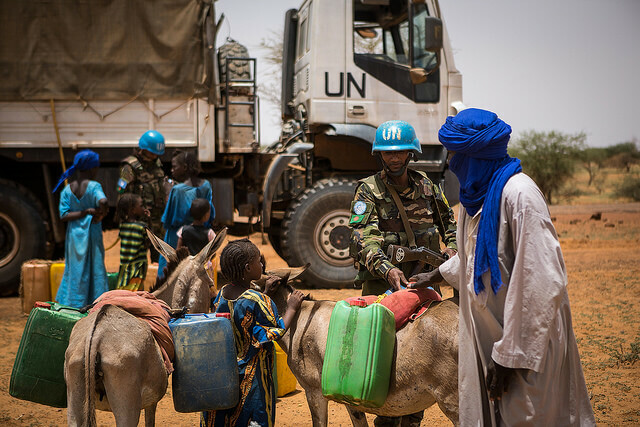 Although the need to mainstream conflict and climate sensitivity into development activities is of highest relevance for Mali, concrete actions are still rare and capacities to implement them rarer still. Climate change impacts are neither being mainstreamed across sectors nor coordinated at the national level. An additional challenge for addressing climate-related security risks arises from the fragile security situation in Mali. This entails that most activities take place only in safe regions whereas conflict prone areas are in most cases lacking support and initiatives. 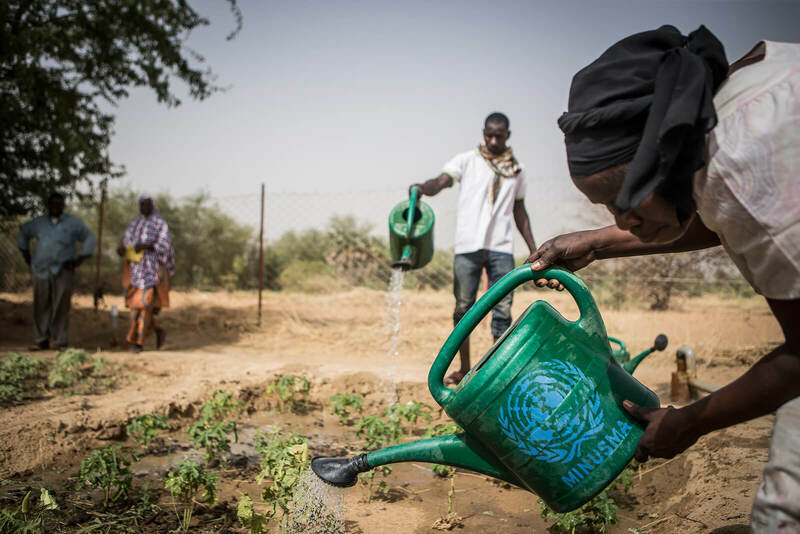 Nevertheless, there is increasing attention at the international level to climate-security risks in Mali, for example the UN Security Council called for risk assessments and risk management strategies to address the climate-security nexus in Mali. In addition, there are promising initiatives on the ground advancing towards more integrated and coordinated approaches for conflict sensitive development in the country. In mid-2018, a group of local representatives from villages in central Mali was invited to reflect on the use of natural resources. At the base of this invitation and consultation process were a group of individuals working at NGOs and donor governments, including the Conflict Research Unit of the Clingendael Institute, Mastercircle, GIZ Mali and Wetlands International Sahel. During the process development options are explored, and participants reflect on their resilience and their potential for scaling up, possibly with help from the state and from donors. A homegrown way to move away from the causes of conflict. Representatives of the local population involved in this consultation process will present their reflections at PSI 2019 and invite the international community for a debate. The local potential and leadership will afterwards be shown in a homemade pop-up documentary. A series of development sessions are done partly in Mali and partly by videoconference. Invited experienced volunteers coach the group in their reflections. The sessions are supported by the online Mastercircle tool. The group from central Mali, Mastercircle and the coaches undertake this process on a voluntary basis. The Netherlands Ministry of Foreign Affairs contributes with (video)conferencing facilities and tickets to The Hague. The STAMP (Sustainable Technology Adaptation for Mali's Pastoralists) project improves resilience among pastoralists affected by extreme climate events through access and use of geo-satellite derived data via the development of a dedicated information service on the availability of biomass and surface water and herd concentration. From 2019, pastoralists will also benefit from Garbal's pastoral farming advice, on topics such as animal health and financial products adapted to the needs of pastoralists, facilitating their access to inputs. The project is funded through a public-private partnership, including Orange Mali and the Embassy of the Kingdom of the Netherlands. TASSAGHT, a local NGO supervises the collection and distribution along the information chain of the field data, in collaboration with pastoralists themselves. The Malian Ministry of Livestock and Fisheries and its departments support the service promotion in the field, share and validate the disseminated information, particularly as regards the updating of legislation and regulations related to production, animal industries and pastoral development, animal and veterinary health. The project is also supported by the Malian Ministry of Digital Economy and Communication, which is involved in the governance of the service. This online visualization tool developed by the Igarapé Institute and earthtime.org in collaboration with the ICRC illustrates how climate and violence are affecting the Sahel. In addition to the climate impacts on the region the tool shows how conflict spreads and provides recommendations how to address the climate and conflict dynamics in the Sahel. The tool, which is based on open source data, puts a spotlight on Mali but allows to zoom in on other areas, such as the Lake Chad Basin. The Water, Peace and Security partnership (WPS) is designing innovative tools and services that identify water shortage-related security risks. In Mali the WPS is developing a decision support tool. These tools and services demonstrate changes in short term water availability and their impacts on societies, and link them to both hydrological as well as social, economic and political factors. Based on this information, evidence-based actions can be triggered to prevent or mitigate human security risks. The WPS will promote this by raising awareness, developing capacities and supporting dialogue. Launched in March 2018, the partnership is a collaboration among an expanding group of organizations supported by the Netherlands Ministry of Foreign Affairs. Current partners include IHE Delft (lead of the partnership) and Hague Declaration signatories Deltares, the Hague Centre for Strategic Studies (HCSS), the World Resources Institute (WRI), Wetlands International and International Alert. The BRACED WYL project, which is managed by Blumont International, is implemented in three regions of Mali. Resilience activities have been successfully created in communities despite threats by armed gangs, restrictions on the use of motorcycles and pick up vehicles, restrictions on activities by women, government and private school closures, and the presence of opposition groups and individuals within communities. Activities involving smart agriculture techniques (composting, improved seed, spacing, fertilizing) have improved food security, and provide youth, especially young men, to stay on the farm and resist enlistment into opposition factions. Women’s gardens, with solar powered water pumping and storage systems, have demonstrated inclusion as a part of a larger gender strategy while adding fresh vegetables for market income and improved household nutrition. Community resilience activities are identified by local leaders with the collaboration of Commune level authorities such as the Mayor, and certified government technicians as engineers, veterinarians, and agronomists. Since these livelihood based activities are an expression of local citizens, with oversight by local group members, and a plan for monitoring and evaluation, there is little room for criticism by opposition factions. Equitable access to land and water use are fundamental human needs regardless of political affiliation, race or creed. These resilience activities, which include livestock investments and food processing schemes, are based on business planning, and taking into account literacy levels, cultural taboos, access to technical training, environmental risks, and long term sustainability. On 28 June 2018, the UN Security Council unanimously adopted resolution 2423 and thereby extended the mandate of the United Nations Multidimensional Integrated Stabilization Mission in Mali (MINUSMA) for another year. In its perambulatory clause 17 it stressed the importance of the nexus between climate change, natural resources and stability in Mali and called for risk assessments and risk management strategies to address the climate security nexus in Mali: “Recognizing the adverse effects of climate change, ecological changes and natural disasters, among other factors, on the stability of Mali, including through drought, desertification, land degradation and food insecurity, and emphasizing the need for adequate risk assessment and risk management strategies by the government of Mali and the United Nations relating to these factors”. This report to which Hague Declaration signatory IRIS contributed, analyses the impacts of climate change on Mali and the capacities of Mali’s military forces to respond to these climate risks. Based on this analysis the report develops scenarios how climate and security risks could interact and evolve in Mali over the next years and what this would mean for France. Meeting: What can the EU do for Iraq and Mali? On 21 June 2018 the Planetary Security Initiative hosted an informal meeting for PSC Ambassadors to exchange views on how climate change affects the security situation in Mali and what this means for EU risk assessments, missions and policies. A detailed summary of the event is available here. Further recommendations and more information on the topic can be found in this PSI Policy Brief: Climate-related security risks in Iraq and Mali: What the EU can do. This Clingendael report, which was supported by the Netherlands Ministry of Foreign Affairs, explores the lack of governance as a structural driver of resource conflict in Central Mali and identifies short- and long-term measures to increase the legitimacy of the Malian state. This PSI policy brief looks at the links between climate change adaptation and inequality in Mali and identifies approaches how to strengthen the country’s adaptation measures. This Clingendael report examines what role customary justice systems could play in mitigating ongoing conflicts over natural resources in Mali.